I’m a big proponent of self care, because if you don’t take care of yourself and your mental well-being you won’t be able to live a happy and productive life, and even from a frugality stand point, you won’t be able to be as functional and do frugal things if you’re miserable, depressed, or an anxious mess. One of the biggest and most important ways to do self care, in my opinion, is through therapy. I know many people are skeptical about doing therapy for a variety of reasons, especially when money is tight, because it’s hard for people, especially moms, to justify spending money on themselves when there are so many other expenses. Some people manage to get therapy paid for through their health insurance, which is a certainly a frugal option. For those that can’t get it through their insurance, another option is online therapy like through places like BetterHelp.com. Lastly, there are training programs for therapists that already have degrees and already have practiced, but are learning additional modalities. 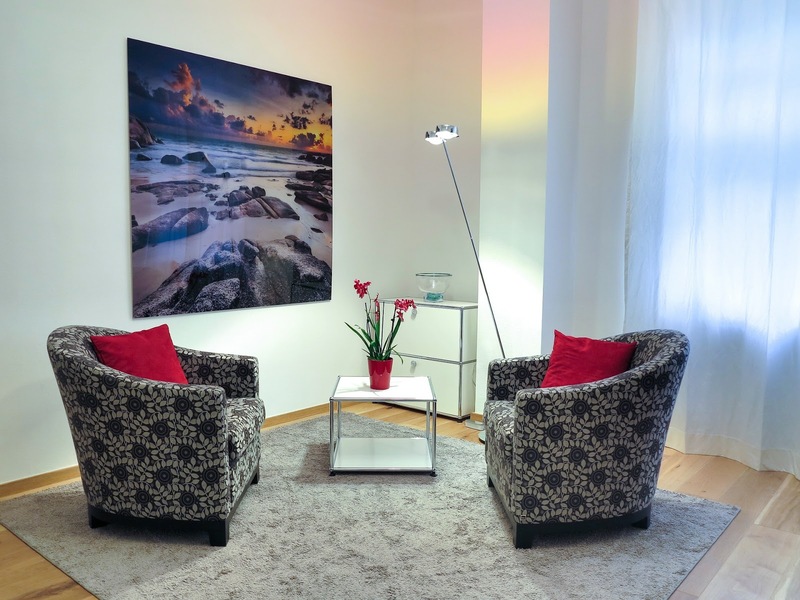 In such cases, the therapists work with a mentor who guides them to learn even more therapy skills, and to do so, they need to see clients; these places offer therapy at much discounted rates, and are a great option for people low on cash but who would benefit from therapy. But for some people, the reason they don’t start therapy isn’t just about finances. It’s because they aren’t sure if therapy would help them, or why therapy is even important. For that reason, I arranged an interview with my friend, Daniella Levy about her therapy experiences, as she has written a lot about her mental health struggles and her experience with therapy and writes an awesome blog, the Rejection Survival Guide, which talks about how to cultivate resilience in the face of rejection and criticism, something that we all need to hear. I’m pointing out that she is not a professional when it comes to this, just someone who wants to help others by sharing her life altering experience with therapy. What made you decide to begin going to therapy? Can you tell me about your therapy experience? I saw my therapist weekly for six years. This was not my first experience with therapy, but I knew this time was different when I found myself thinking a lot about what we had discussed between sessions, and starting to question my perspective and assumptions about things. I would come in and just start talking about whatever I was thinking about or feeling, and my therapist had a brilliant way of cutting through the fluff and striking at the heart of things, asking me gentle questions that gave me insight. She never judged me or criticized me, and when I was harsh with myself, she would offer me a non-judgmental and more compassionate way to look at it. Over time, I began to adopt her attitude, stop being so critical of myself, and most importantly, learn to be kind and compassionate to myself and take care of myself to the best of my ability. What effect did going to therapy have on your life? This may sound melodramatic, but it changed everything. When I began therapy I felt like I was stuck and struggling to survive. I had two young kids at home and had always wanted to be a mom first and foremost, but my lack of energy made parenting toddlers very challenging and I didn’t feel nearly as fulfilled as I’d hoped. I was a self-defense instructor, but didn’t have the energy or childcare arrangements to do that regularly, so I wasn’t working, and we were struggling financially. I hadn’t been writing creatively in years, despite penning 5 novels before I turned 20. Though I had plenty of people in my life who loved me and wanted to support me, I felt very alone. Therapy triggered some earthquakes in my relationships with the people I was closest to. I was redefining my boundaries–what I was okay with and was not okay with–and was starting to figure out how to contain and express anger and other negative feelings within a relationship in a healthy way (as opposed to suppressing and being ashamed of those feelings out of fear that they’d harm the relationship). In some cases, the changes immediately brought positive results. In other cases, it was harder for my loved ones to understand the new way I was expressing myself, and sometimes this created some confusion, distance, and anger. But eventually things calmed down and my relationships with these people became more wholesome and loving than before. I started writing poetry again a few months after starting therapy. A couple years in, I was suddenly struck with an urge to write a novel I’d had the idea for years before–and I wrote the whole first draft in just under three months! Then I started my blog, Letters to Josep, which I eventually turned into a book that I self-published, and then I started writing short stories and getting those published, and then my novel was published… basically, I flourished in every way. I did start medication in the middle of the therapy process, which certainly boosted things, but I don’t think any of this would have happened without the therapy aspect. I think of my blog, The Rejection Survival Guide, as an expression and a celebration of everything I learned about myself over those six years: what it means to be strong, what it means to be brave, and how our perceptions shape our realities and our ability to cope with those realities. You mentioned that therapy causes a lot of changes in your life, and some upheavals. When someone is struggling already and contemplating going to therapy, but their life is too overwhelming as it is without going to therapy, could therapy be a bad idea if you don’t have the time and space for these upheavals to happen? I think this is why it’s important to work with a skilled professional who can gauge what you’re ready for and help ease you into a process that works for you at a pace that works for you. Part of what I learned in therapy was to prioritize and do an honest cost-benefit analysis. What is the cost of going to therapy and possibly experiencing these upheavals? What is the cost of not going to therapy and continuing to dig myself into a trench of unhealthy thought patterns and destructive coping mechanisms? Research shows that the longer depression goes untreated, the harder it is to treat, because .continuing to have those negative thinking patterns further reinforces the neural pathways in our brains that characterize those patterns. The cost of not going to therapy or postponing it is real and also needs to be considered. So–no, I don’t think it’s a bad idea. I think you will learn to create the time and space for those upheavals to happen. That’s part of the healing process–learning to make space for yourself and your needs. What would you say to someone who is considering therapy but has successfully repressed their negative emotions as a coping mechanism, and is afraid of therapy making things worse? I think there’s no such thing as “successfully” repressing one’s negative emotions. You may be functioning, you may think it’s working, but the negative feelings you’re not allowing yourself to feel express themselves in other, unhealthier ways–addiction, controlling behaviors that cause turmoil in your relationships, etc. Additionally, as researcher Brené Brown says in her mind-blowing TED talk on vulnerability, you can’t selectively numb your feelings. When you numb sadness, anger, jealousy, heartache–you also numb your ability to feel joy, love, excitement, satisfaction. So if you’re “successfully” repressing negative emotions, you’re also significantly harming your capacity to feel positive ones. That’s no way to live. In my own course of therapy I found myself facing that question a lot: is it worth risking all the pain and difficulty of my negative emotions in their full intensity in order to allow myself to experience the positive emotions? At first, my answer was that I didn’t think so. I’m a highly sensitive person and experience emotion more intensely than most people, and sometimes I felt it was too much for any human to have to bear. Over time, though, through a lot of trial and error, my answer changed to an unequivocal yes. Yes, it’s worth it. It was really, really hard, but my life is incomparably better for having the courage to be genuine and face my darkness. How does therapy help if it doesn’t actually change the past? It’s not the past itself that causes us anguish in the present; it’s how we perceive and think about the past, and the flawed coping mechanisms we may have developed in response to traumatic events in the past. Therapy helps you change your perceptions and exchange your less constructive coping mechanisms for healthier ones. In my case, my depression wasn’t really triggered by past events; I prefer to think of it as a side effect of my personality, and my tendency to experience and process everything very deeply. Therapy helped me understand that about myself and appreciate the advantages of it, while giving myself the space to process things in the way I need to. If you’re self-aware, how can therapy really help? On the contrary, being self-aware makes it that much more effective. Emotional health isn’t just about awareness, it’s about how you interpret and respond to events and feelings. Self-awareness means it’ll be easier for you to pinpoint problematic patterns and reverse them. I’m extremely self-aware and for much of my life I was able to do that kind of “self-correction” to a degree, but I was also very self-critical. I needed a guide who was objective, compassionate, and not judgmental. What modalities of therapy have you tried and which do you recommend? Mostly my experience is with classic psychodynamic therapy, and it was a very good match for me because of the way I naturally process things. I can see how it might not be helpful or necessary for people who can’t or won’t process things that deeply. My therapist rarely suggested coping skills; we would discuss how I dealt with things and she would help me determine for myself whether what I was doing was working for me or not. I ended up developing some creative techniques on my own, and some of them are sort of classic CBT-style techniques–but as my therapist pointed out later, if she had suggested them to me, I would probably have rejected them. I needed to arrive at them on my own. I think other people may benefit more from being given those tools at the get-go. I also know someone who has had very positive experiences with EMDR for processing trauma. I haven’t tried it myself. Does it matter what kind of therapist you work with–social worker, psychologist, counselor, coach, etc.? What’s the practical difference? It matters in that they have different training, but I suspect that their approach has more to do with personality than anything else. My therapist is a social worker who was trained and licensed in clinical psychotherapy. Before I saw her, I had experiences with clinical psychologists that were fine, and mildly helpful, but a lot less effective. From what I understand, counselors and life coaches tend to take a more practical approach–helping you solve problems and put together concrete plans for dealing with things rather than digging deep into the psychological roots of your issues. How long does someone need to be in therapy before it starts working? It depends on the person, the situation, the type of therapy, and what “working” means! I found that I started thinking about things differently after just a few sessions, but I was in therapy for six years, during which I experienced a lot of ups and downs. It took me literally years to reverse certain negative thought patterns. We decided together that I was ready to stop when I started to feel I didn’t need it anymore. Are there situations where therapy is not a good idea? Frankly, I don’t think so. It could be that certain types of therapy might not be a good idea, and working with a therapist who is a bad match for you is certainly not a good idea and can do more damage than good. But overall, I think everyone can benefit from therapy. Lots of people say they’ve tried therapy or that they’ve tried going to ten therapists and nothing clicked or worked. What would be your advice to these people? Keep looking. I know it’s super hard, especially when you’re depressed and even picking up the phone feels like an insurmountable task. But it’s worth it. Get someone to help you if you can. It’s like dating; there has to be good chemistry between you and the therapist. How do you know if your therapist is right for you, and what are the signs that s/he might be bad for you? I’m not a professional, so I don’t know if I’m qualified to say, but I think it’s very individual. Again, it’s like dating. I think your therapist should make you feel safe and validated. You shouldn’t feel belittled or ashamed or pushed to do things you’re not ready for. You don’t have to come out of every session with an epiphany, but within the first few sessions I think you should have a sense that it’s helping you gain insight and new perspective on things. But again, I’m saying this as a client, not a professional. Thank you so much Daniella for taking the time to share with us about your therapy experience. It has been very valuable to me and hopefully it will also be valuable to those reading this post. To find out more about Daniella, visit her siteDaniella-Levy.com, and check out her books,By Light of Hidden Candles (Kasva Press, 2017)andLetters to Josep: An Introduction to Judaism (Guiding Light Press, 2016). Have you had experience with therapy? What was it like for you? Was it a good experience? Did you find therapy life changing? Do you have any follow up questions for Daniella?